FEATURED: What’s A Nature Bath & When’s The Last Time You Took One? 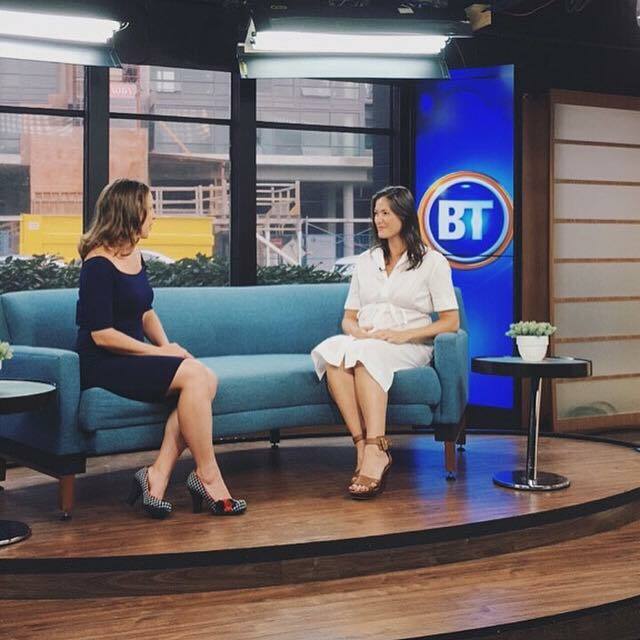 Last week I spoke to Breakfast TV Vancouver host Tara Jean Stevens about "Nature Bathing" and shared a few tips on how you can easily incorporate healthy habits into your back-to-school/work routine to benefit your mental and physical health! Forest Bathing vs. Nature Bathing – what's the difference? Forest bathing is translated from the Japanese shinrin yoku, which means, to take in the forest atmosphere with all of your senses. Since the beginning of time, humans have sought out and benefited from the healing power of nature. Many traditional cultures, like the Japanese, understand the incredible benefits to mental and physical health that come with being present and fully aware in beautiful, natural surroundings. Modern science is finally catching onto this ancient wisdom and providing data on why nature is so critical to our overall wellbeing. Chronic stress is a significant detriment to our mental and physical health. Nature can provide an antidote. Spending mindful time in nature helps reduce stress. It's like taking a little time-out from the chronic busyness and urgency of work and life. Chronically elevated cortisol levels can deplete our immunity, mess with our digestion, dull our libido, slow down our metabolism, and dampen our creativity. Spending mindful time in nature boosts mood, and much more. Nature Bathing, especially the physically-active kind (walking, running, swimming, cycling, etc), increases serotonin, which has been shown to improve mood, digestion, desire, metabolism and cognitive function. Newer PostTLD September Intel: A Monthly Roundup Of Intelligence To Help You Live The Life Delicious!